Agencies and shelters in rural areas are can't keep up with increasing numbers of homeless, as $1.5 billion in stimulus money for the national Homeless Prevention and Rapid Re-Housing Program runs out, reports Rob Schultz of the LaCrosse Tribune in Wisconsin. The number of rural homeless "using suburban and rural programs" rose 57 percent from 2007 to 2010, while the number in urban areas dropped 17 percent, Schultz writes. Rural homeless live "out of plain sight, often doubling or tripling up with others in small apartments or homes." Some live in cars, motels or stay outside no matter the weather. Three rural counties in Wisconsin had the largest growth of homeless families and another the largest growth of chronic homelessness in the state in 2010, Schultz reports. The state received $17 million in stimulus money, which was earmarked mostly for rural areas. Jean Sewell, who works with the Southwestern Wisconsin Community Action Program, said the money helped slow the problem by buying hotel rooms, security deposits and a month's rent to "get homeless people back on track." But now, the agency is trying to stretch $50,000 it received from another federal program. Homelessness prevention programs are also losing money from county governments. Private agencies and charities are trying to pick up the slack, such as the church-run Family Promise, part of the Interfaith Hospitality Networks that serves areas in 41 states. The program allows homeless families to live in churches for a week while volunteers cook meals, grocery shop and drive children to school. While kids are at school, parents look for jobs. Families complete the program in 70 days. (Read more) For the latest national report on homelessness, with state-by-state breakdowns, click here. State and federal leaders are drafting an agreement that would "create regionally uniform standards for transmitting electricity" and hope to have it ready for legislative review next year. reports Jim Malewitz of Stateline. Stakeholders' competing interests make transmission line siting across state lines difficult, making developers reluctant to invest. An agreement would solve the problem of varying state transmission rules that often prevent energy from being sent where it's most needed, a process that will touch many rural residents where lines are proposed. In October, a federal interagency team chose seven transmission siting pilot projects to cross 12 states that it hopes to expedite. The number of Hispanic and Latino farmers in Nebraska and Missouri is declining, and the Nebraska-based Center for Rural Affairs is trying to find the reasons. Its first report gives a snapshot of Hispanic and Latino farmers in both states, and the second discusses possible barriers faced when starting, developing or sustaining farming or ranching businesses. More reports are forthcoming. In both states, Latinos are more likely to own or operate small farms. Jon Baily discovered that in both states, farming is not the primary income source for Latinos. Latino-owned farms in Missouri are smaller than those in Nebraska, but Nebraska farms are still in the smallest farm-size category. More Latino farmers in Missouri fully own their farms than those in Nebraska, who only co-own. Communities provide land for home building, schools and amenities; job-hunting is left up to newcomers. The Center for Great Plains Studies at the University of Nebraska has been studying the success of such programs. Several places in Kansas have capitalized on this idea. In Ellsworth, four of 10 available lots were given away, and 20 families got down-payment assistance for existing housing. 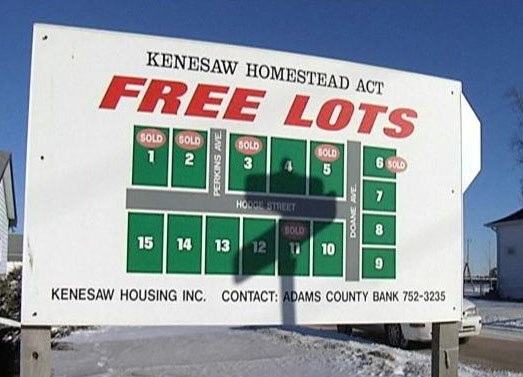 Almost all 80 lots available in Marquette, Kan., were given away and 27 of 33 were claimed in Minneapolis, Kan. Most new homesteaders have either lived in these places before, traveled there or have family ties to the area. 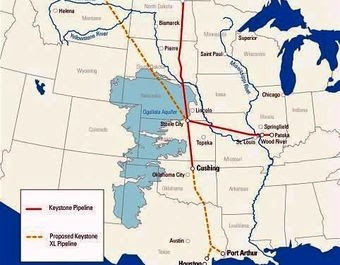 Republicans charged that President Obama, in denying a permit for the Keystone XL pipeline to send Alberta tar sands to the Gulf coast, is "favoring radical environmental interests over a project they said would provide thousands of jobs and bolster domestic energy security," reports Cody Winchester of the Argus Leader in Sioux Falls. Obama said there was not enough time to review the project's new route within congressional Republicans' "arbitrary" 60-day deadline, which they imposed after Obama earlier deferred a decision until after the November election. And the national political debate obscures the fact that last year Nebraska lawmakers, farmers and ranchers forced Trans-Canada to re-route the pipeline around the state's ecologically sensitive Sandhills region and the Ogallala Aquifer, the lifeblood of agriculture in the relatively arid Great Plains. TransCanada said it would reapply for a permit for the new route. That will trigger a new review process and environmental impact statement for the entire route. Assistant Secretary of State Kerri-Ann Jones told Winchester the new application would not be expedited, but the agency can use information from the first review in the new one. The department advised Obama to deny the permit. Native American activists have played a major role in protesting the pipeline, reports Rob Capriccioso of Indian Country Media Network, and some say they are preparing to continue protesting. They have said the pipeline would threaten the health and culture of Native peoples and that the government has not consulted them about the project. Lakota Sioux activist Debra White Plume told Capriccioso the denial is a temporary victory. "The oil industry will not give up its attempt to get their weapon of mass destruction approved for entry to this country. We must keep fighting, we must fight harder. If we say this is our Treaty Territory, we must be ready to defend it." Pat Spears, president of Intertribal COUP (Council on Utility Policy), said Native Americans should ask for more detailed risk analysis of economic and environmental issues for all people affected by the pipeline. The Washington Post detailed the President's decision to deny the project, and The Houston Chronicle reported that Congressional supporters of the pipeline are "exploring legislation" that would let Congress or an independent federal agency reverse the denial and approve the permit. 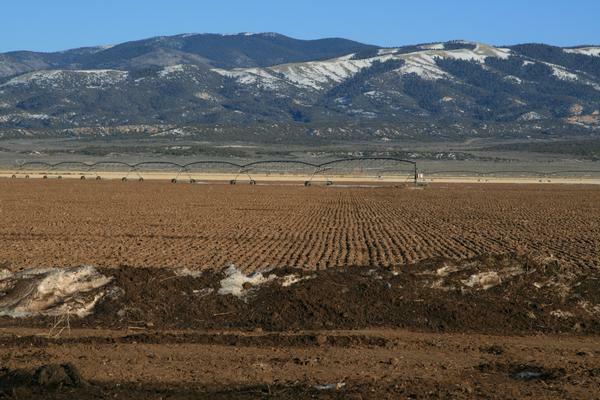 Farmers have proposed buying surface-water rights to offset aquifer pumping, and while water may be conserved, the increased cost may remove 80,000 acres of farmland from production. This will be an economic blow to the area, where there's a 38 percent child poverty rate, Finley reports. Surface-water rights fees will likely increase from $45 an acre to $75, making an irrigated crop circle cost as much as $20,000. Brian Neufeld, a potato farmer, said this could mean layoffs, fewer employees and less crop production. Some think this starts the decline of their farms. The U.S. Army came one step closer yesterday to destroying its stockpile of 20th Century chemical weapons, stored mostly in remote rural areas. After a two-hour process in which 23 projectiles filled with mustard agent were stripped of the agent's ability to blister skin and attack the respiratory system, the last of the "hard weapons" at the Deseret Chemical Depot near Tooele, Utah were destroyed. The facility once housed the Army's largest supply of chemical weapons, the Los Angeles Times reports. Educators have said transportation cuts are "particularly unfair" to small and rural districts. They are trying to reverse the cuts with legal action, letter-writing campaigns and legislative lobbying. Some say if cuts are necessary, they should be distributed equally across districts. The Southern Humboldt Unified School District in northern California is organizing a protest in the state capital nest Tuesday, Virginia Graziani of the Redwood Times reports. Funeral services were held today for Ed Bishop, a voice for rural America at the highest levels of higher education. He died Saturday at 90 in Durham, N.C. Bishop was the first chancellor of the University of Maryland at College Park, and was later president of the University of Arkansas and the University of Houston systems. "He spent his life working to make life better in rural communities," Bill Bishop, no kin, writes in the Daily Yonder. "There isn’t anyone like Ed Bishop in the U.S. today — someone who can command the respect of presidents but understands completely the way people live in the poorest community." Bishop's career in higher education began with his bachelor's degree at Berea College in Kentucky, "an institution whose motto, 'God has made of one blood all peoples of the earth,' became a part of his life," said his obituary, which directed memorial gifts there. After earning a master's at the University of Kentucky, he became a professor and then head of agricultural economics at North Carolina State University, then vice president of the University of North Carolina. "Ed married a life-long commitment to the 'people and places left behind" with an uncompromising intellect and the most rigorous analytic standards," said the website of MDC Inc., a North Carolina nonprofit he worked with after retirement. "He was a champion for rural people while remaining unsentimental about the prospects of rural areas in a globalizing economy." Farmers are increasingly removing parcels of their land from the federal Conservation Reserve Program to cash in on higher-than-ever crop prices. The program pays farmers to return some of their land to natural habitat or pasture. As participation declines, Congress may cut funding for the program in the newest Farm Bill, but some say the program should be maintained to prevent soil erosion and protect waterways. The natural-gas boom is creating a resurgence of Ohio steel production, report Mark Niquette and Romy Varghese of Bloomberg News. Youngstown's steel era ended 34 years ago, but a new $650 million steel mill is being built to produce seamless pipe used in hydraulic fracturing. Other states are taking note and competing for other gas-related projects. The measure is an attempt to protect from predators a "precarious population of musk oxen" in the high Arctic. It's also "designed to appease long-standing concerns among a broad swath of Alaskans about declining populations of moose and caribou, upon which much of rural Alaska depend for food." The National Park Service says aerial shooting, along with other debated methods like snaring and trapping, should not be used in Alaska's 19 million acres of federal wildlife refuges. 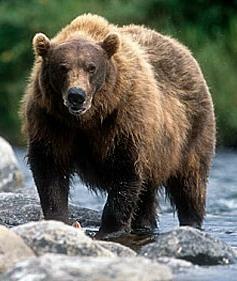 "They have a management policy which specifically says you don't manipulate the population of one species to benefit the hunting of another," said Jim Stratton, the state's director for the National Parks Conservation Association. The estimate was difficult because common bat species have not been regularly counted. As mortality rates at some sites reached 100 percent, a team of 140 Canadian and U.S. researchers coordinated to come up with a number. 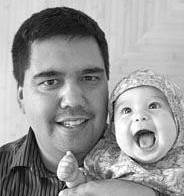 Jeremy Coleman, national white-nose coordinator for the U.S. 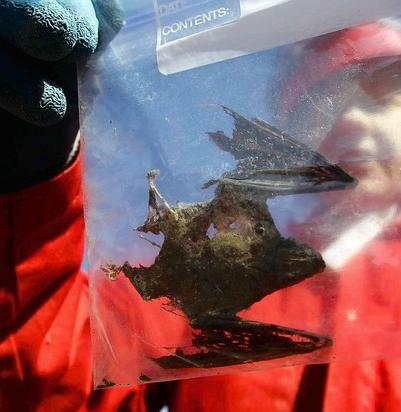 Fish and Wildlife Service, told Sahagun that since bats have low reproductive rates, it will probably take more than 100 years for populations to fully recover. Virtual education can connect isolated rural students to students in other places and provide them with resources they may not have otherwise, but as Emma Brown of The Washington Post wrote recently, some are "leery of cyber schools," and that has drawn national journalism attention to virtual schools and the companies that operate them. But she says local news media were first to "raise questions about virtual schools' cost and effectiveness," and should be recognized for this. She wrote that a public radio station in Greeley, Colo., reported about lax oversight and poor student performance at virtual schools, resulting in the president of the state senate calling for an emergency audit of virtual schools. Local stories in Tennessee, both in newspapers and on television, raised similar questions about its first virtual school, drawing statewide attention to the issue. Idaho Statesman reporter Dan Popkey investigated political and financial connections between virtual-school company K12 and the state's top education official. In Arizona, blogger David Safier reported K12 was outsourcing grading of papers to workers in India. In the early 1980s, oil as a source of energy was threatened by alternative sources, but when oil prices dropped, the prospect for alternatives quickly faded. Now, a similar situation appears to be happening as a result of the boom in natural gas from tight, deep shales. Energy & Environment News reports investment in alternative energy sources is decreasing with the emergence of gas as a plentiful and cheap source of energy. The largest U.S. wind energy producer, NextEra Energy Inc. has canceled plans for new wind projects and Exelon Corp. isn't going to expand its nuclear power plants. Even plans for new coal-fired power plants are being shelved as CMS Energy Corp. in Michigan has cancelled plans to build a new $2 billion facility. Electricity pricing in linked to the low-cost gas market, resulting in dramatically lower profits for power producers and discouraging investment in coal, nuclear and wind. The National Ground Water Association has released a study promoting best practices to maintain water well systems. The study, Water Well Systems Inspection Best Suggested Practice, is meant to be a guide for rural residents who rely on well water, and also for water system managers, regulators, contractors and pump installers. The NGWA suggests routine inspection of well to prolong operational lifespan and monitor groundwater quality. 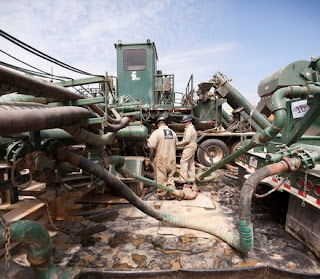 It recommends anyone hired to inspect a well should have several specific qualifications, such as knowledge of codes and regulations for wells, awareness of safety protocols, understanding of natural and human-caused threats to drinking water supplies, and technical awareness of pump and related electrical systems. The Water Well Systems Inspection Best Suggested Practice guide can be accessed here. Early this month, the Food and Drug Administration proposed a ban on a class of antibiotics in livestock for fear the practice is fostering bacterial resistance to antibiotics used to treat a wide range of human infections. Public health officials say the move indicates "a new willingness by the government to tackle the longstanding issue," but some think public misconception about antibiotic use in livestock is driving the decision. Resistance to antibiotics has become a global public health issue. Michael Fielding of Meatingplace reports German Agriculture Minister Ilse Aigner has submitted legislation to limit antibiotic use after a study revealed E.coli in chickens. Germany is Europe's third-largest poultry producer. But Meatingplace blogger Sarah Hubbart writes a new study from the University of Glasgow in Scotland suggests livestock likely doesn't "have a major impact on antibiotic resistance in humans," and the researchers are urging British lawmakers to reconsider antibiotic bans in livestock. Hubbart says that research is important in light of the recent FDA decision. 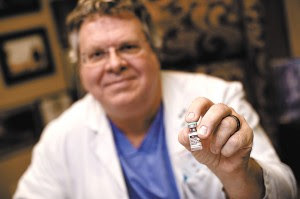 Iowa State University professor Scott Hurd, a former U.S. agriculture undersecretary, said misconceptions about antibiotic use are widspread. "They think it is just being poured into the feed to make the animals grow better," he said. Tom Talbot, former president of the California Cattlemen's Association, thinks people believe that, too. He told Tim Hearden of Capital Press that "The idea that we're using this enormous quantity of antibiotics in beef cattle prior to slaughter, I think that's a misconception." Hearden reports livestock industry representatives don't think the FDA's recent change will have a big impact on operations, but they fear further restrictions. The FDA is accepting public comments about the proposed ban on certain antibiotic use in livestock until March 6. Comments can be submitted here. A federal pilot program aims to support farmers in Minnesota and protect them from new environmental regulation if they agree to lessen the flow of agricultural runoff into the headwaters of the Mississippi River, reports Energy & Environment news. Federal officials say they hope the program will make farmers more responsible about water quality. Farmers would enter a 10-year agreement in which they would limit erosion and fertilizer, pesticide and manure runoff. In return, the federal government will provide technical help, funding and certify farmers in a new Agricultural Water Quality Certification Program. Farmers would then be exempt from new environmental requirements that might be imposed generally. Scientists have found climate change is reducing snowfall in mountains and having trickle-down effects on mountainous songbird and plant populations. 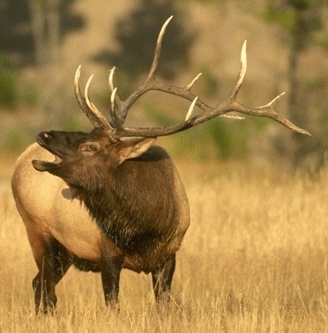 The U.S. Geological Survey and University of Montana study shows browsing elk are staying at higher altitudes for longer periods of time, thus consuming more plants. As a result, songbirds and deciduous trees in the Arizona mountains have declined over the last 22 years. This phenomenon directly lowers songbird habitats. Louisville Farm to Table, the University of Louisville and the Kentucky Department of Agriculture are hosting a conference at U of L Jan. 20 "designed to bring resources to colleges that would like to start making the switch to local food." Conference sessions will "address common perceived barriers and challenges to such changes, and will include administrators, food service contractors and local food distributors." Farm to Table is a Metro Louisville government project that aims to open the local food market to products from Kentucky and Southern Indiana, but the conference, called "Farm to Campus: Exploring the farm-to-food service connection," is aimed at any college educators, contract food vendors and interested parties. The study contrasted the rates of vaccination follow-up by young women recruited from two rural locations and one urban location. "Despite being free, the researchers concluded that uptake of booster doses by rural women was problematic," states an article in the Rural Center for AIDS/STD Prevention's "RAP Time" publication. "This barrier might be resolved by providing the HPV doses at easy-to-access locations in rural communities, such as large grocery stores and area events." The HPV vaccine requires three doses. The women who went to the rural clinic were seven times less likely to return for at least one follow-up dose. The vaccine, which has proven to prevent most cervical cancers, has been approved for use in women ages 9 to 26 years, as well as boys. The vaccine is generally given at the age of 11 or 12 and is effective only if administered before a person becomes sexually active. As many as 80 percent of men and women become infected with HPV during their lives, but most do not develop symptoms or illness. The vaccine has been met with reluctance by parents, some of whom fear it encourages sexual activity, but a study published in the American Journal of Preventive Medicine found girls or women who received the vaccine "were no more likely to be sexually active or have more partners than those not vaccinated." Opponents and skeptics of hydraulic fracturing for oil and gas eagerly await Feb. 1, when drillers in Texas will have to report many of the chemicals they use, "but a less-publicized part of the new regulation is what some experts are most interested in: the mandatory disclosure of the amount of water needed to 'frack' each well," reports Kate Galbraith of The Texas Tribune. " 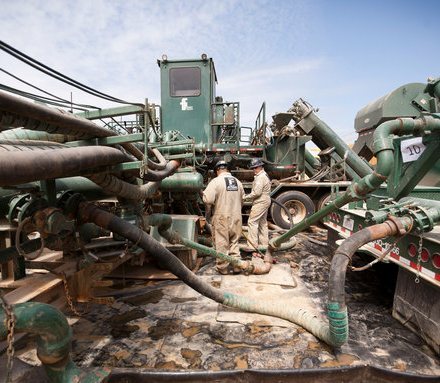 Experts call this an invaluable tool as they evaluate how fracking affects water supplies in the drought-prone state." This week's premiere of the third season of "Justified," a show on the Fx channel about a U.S. marshal fighting crime in Eastern Kentucky, got the full treatment today from the Lexington Herald-Leader: a review and story about the show in the arts section, and a Page One news story about how the show is viewed in Harlan County (Wikipedia map), where it is set but not filmed; as usual for Hollywood, that work is done in California. That has helped lead to some obvious inaccuracies, but those declined after the producers did some local research, reports reports Bill Estep of the newspaper's Somerset bureau. Herald-Leader arts reporter Rich Copley says the show "is still at the top of its game," with great acting and fine writing. His review is here. With a Russian tanker's delivery of desperately needed fuel yesterday to Nome, Alaska (here is a good video report from The Nome Nugget, "Alaska's oldest newspaper"), the publisher of a regional newspaper, The Arctic Sounder, wrote an editorial drawing on his dual role as chairman of Sitnasuak Native Corp., the village corporation for Nome and operator of a fuel company. Kentucky is one of the more rural states and has no major-league pro sports teams, but it's a pretty big sports state, with several strong college basketball teams, the Kentucky Derby, many Thoroughbred breeding farms, and much interest in high-school sports. 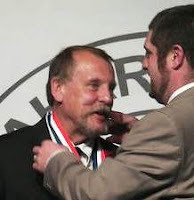 So it attracts some excellent sports journalists, and that makes it all the more remarkable that the sports editor of a 12,000-circulation newspaper has been recognized for six years in a row as the best sports writer in the state. Well, I read Larry Vaught from time to time, and I am always impressed with his ability to churn out incisive columns, solid game stories and athlete features, often all in the same day, ranging from the University of Kentucky to the smallest high schools. I don't know who else was nominated for this award, but I have no doubt that he deserves national recognition. He will receive it at the association’s banquet in June in Salisbury, N.C.